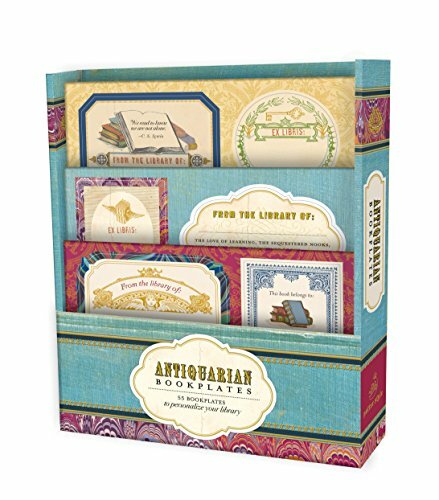 Personalize your library with this sophisticated set of bookplates. Each features a beloved literary quote and a charming illustration that makes each book in your collection even more special. Never again will you be in search of the perfect present for your book-loving friend - you can now give a whole set of bookplates with quotes from the likes of Jane Austen, Johnathan Swift, and Samuel Johnson. In the style of antique books, these 55 labels are classic and sophisticated and will appeal to a wide range of tastes and genres. If you have any questions about this product by Potter Style, contact us by completing and submitting the form below. If you are looking for a specif part number, please include it with your message. By Brand: McFarland n Company, Inc.